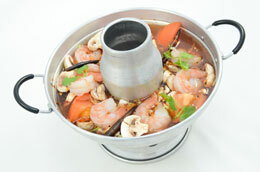 World renowned Thai spicy and sour soup has a wide mix of Thai herbs. Chili paste, mushrooms, tomatoes, and cilantro. 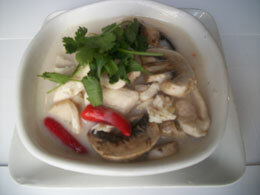 Thai coconut milk soup with a healthy dose of Thai herbs, mushrooms, tomatos and cilantro. 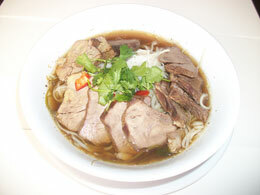 World renowned Thai “spicy and sour” soup has a wide mix of Thai herbs, chili paste, mushrooms, tomatos and cilantro.